Minutube, a simple application which you can use to download and play YouTube videos without Flash, has reached version 1.7. The new version also supports passing an YouTube URL or even a search query via command line which means you can for instance create an Unity lens that opens videos in Minitube (like the one for VLC), browser extensions, etc. 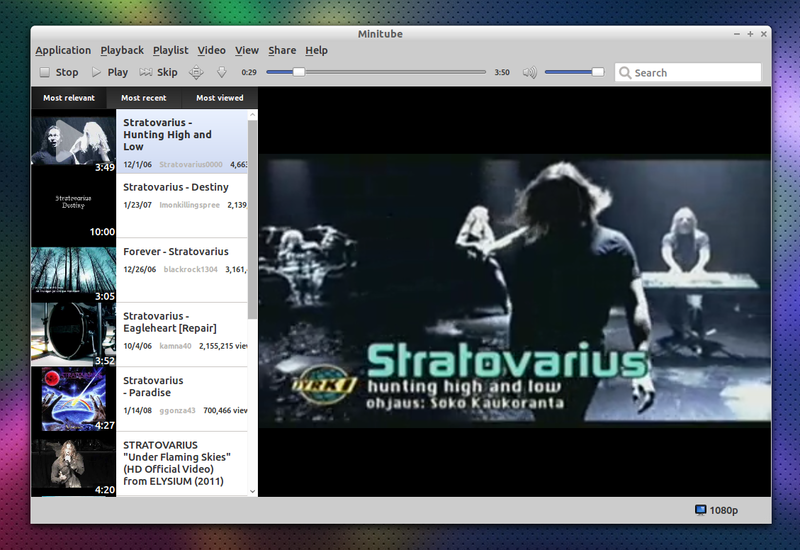 To download pre-compiled 32bit Linux binaries or get the Windows or Mac OSX builds, see the Minitube download page.